To give my Middies a bit more love, I’ve decided that the first Monday of every month from now on will be Middie Monday! Middie Monday will be posts about Middies – either new releases, things I’ve done with or created for my Middies recently, and I may even feature some favourite Middie crafters/sellers! The sky’s the limit, as long as it’s Middie related. For the first Middie Monday, I wanted to share some photos of Miss Lydia Melbourne. 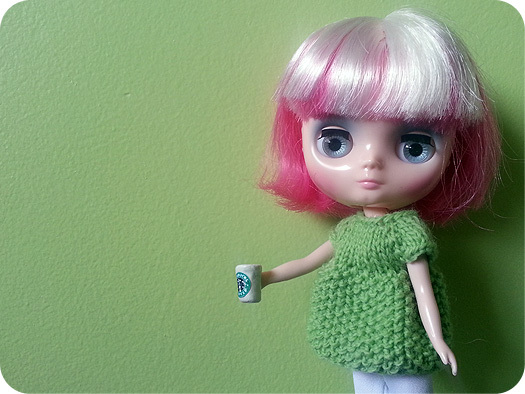 I love that Blythes have been made with two-toned hair, especially with hugely contrasting colours like white and hot pink. It’s brighter than the pink of Cameo’s hair (she has stock Ichigo Heaven hair), which is a nice treat. I think new colour combinations of hair would be fun and exciting! I’m all for natural coloured hairs as well, but I do love it when they come out with something new as well. 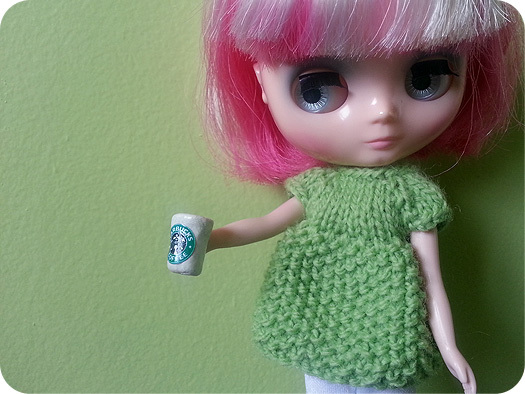 While Lydia is not the first Blythe that I’ve had with fantasy coloured hairs, she is the latest and the most interesting because of the two colours. Aside from her hair, I’m still learning about Lydia’s personality. I think it doesn’t really help that my self-induced challenge is to hand craft my Middies’ wardrobe, poor things. But overall she’s very sweet, I think – I just haven’t spent enough time with either of my Middies to figure out who they are yet (Blythe people will understand this, I hope). My hope that as Middie Monday progresses, I’ll figure out their personalities a little bit more. If you have any suggestions for a future Middie Monday post, please send me an email or use my Suggestions form!